Before we dive into the benefits of multicloud, it is important to understand the similarities and differences between the cloud terminologies being used today. Private cloud - Private cloud is pretty much how it sounds, private. They are owned and controlled by the single organization using it, sometimes with help maintaining it from a third-party source. It is beneficial because only one organization stores data and accesses it. This cloud format is also preferred for compliance and security reasons, as it can be stored on-premises and the organization’s internal security strategies can be customized for their private cloud(s). Public cloud - Public cloud takes the opposite approach to the private cloud. A public cloud is owned by and maintained by another organization, such as Microsoft (Azure) or Amazon (AWS). Several organizations store and access data on the same cloud simultaneously. Different organizations cannot access each other’s files, but the security measures are left in the hands of the larger companies that provide these cloud services. This is a beneficial strategy because it is more cost-efficient utilizing a public cloud as opposed to a private cloud, depending on how it is used. In 2018 it is reported that 92% of enterprises utilize public cloud services in some way, shape, or form. Hybrid Cloud - The hybrid cloud is a combination of an on-premises private cloud and external public cloud as a single enterprise. Some organizations may implement a hybrid model in order to meet high demand periods by deploying additional resources and services in automated fashion. Another reason for a hybrid cloud may be for redundancy and disaster recovery. The hybrid cloud provides maximum flexibility in that organizations can host resources on-premises in order to meet compliance mandates or to retain greater control and security over them while hosting others. Enterprises are utilizing hybrid cloud models as an extension of their traditional networks in order to provide added services and functions to their users. Infrastructure as a Service - In an IaaS model, organizations can achieve a strategy similar to an on-premises data center without physically having one on-premises. Another organization owns and maintains all the necessary hardware. These providers get paid to host servers for other organizations and those organizations pay for what they need, including storage space, security measures, networking speeds, and more. IaaS is a viable solution for smaller organizations with lower IT spend to attain the IT capabilities larger corporations have. Multicloud - According to HPE, multicloud is the use of multiple cloud computing services in a single heterogeneous architecture to reduce reliance on single vendors, increase flexibility through choice, mitigate against disasters, and so on. The primary difference between a hybrid cloud strategy and a multicloud strategy is that while hybrid clouds utilize multiple types of clouds, multicloud strategies push to use multiple cloud vendors, such as Microsoft Azure, Amazon AWS, and internal IT strategies. 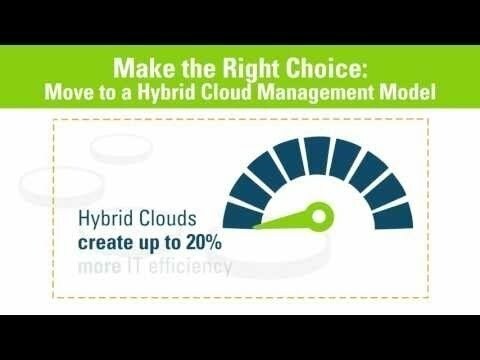 Hybrid IT - Hybrid IT (not to be confused with hybrid cloud) utilizes the cloud, but with a greater focus on assigning the right resources to the right hosting environment. While cloud strategies like hybrid cloud focus on running data center applications exclusively within public and private clouds, hybrid IT encourages organizations to continue to leverage on-premises infrastructure, while leveraging cloud computing for the business apps best suited for that environment. This strategy presents major opportunities for increased IT service efficiency. Hybrid IT aims to create synergies between traditional IT strategies and cloud strategies. Cloud computing is supposed to increase speed and operational efficiency in a way that moves the needle towards digital transformation. Unfortunately that is often not the case, as a crucial component of cloud computing is left out. Storage strategies directly impact IT costs and capabilities for organizations, creating a need in the marketplace for multicloud. Different storage locations and different data needs are better handled by different sources. Every cloud provider and cloud type has its strengths and weaknesses. Learning what those strengths are uncovers the opportunities that can be created by leveraging a multicloud storage strategy. IT solutions providers understand the capabilities enterprises need to support their enterprise environments. For these reasons, multicloud strategies can be created and customized for each enterprise’s unique needs and priorities, including compute, storage, security, networking, mobility and end-user computing (EUC), backup and disaster recovery (BUDR), and more. Multicloud strategies enable a smooth data transfer ensuring organizations that all data is accessible. Moving data from cloud to cloud, or from cloud to the data center and back to the cloud is simple and pain free (with the right solution). This includes any combination of on-premises, public, and private clouds without any additional costs to move data, although you should discuss data transfer costs with your public cloud provider and have that policy written in your SLA. It can be a worrisome feeling if you aren't really sure if anything potentially harmful is accessing the network because of an inability to see everything. This very concern is known as network visibility and can lead to undetected breaches if full visibility is not established. Going multicloud offers an easier way to track network movements. Regardless of the combination of public and private clouds, utilizing a multicloud strategy can create a more sophisticated backup system. Different types of data can be kept in different clouds, depending on the organization’s strategy and compliance requirements. Data that is sensitive can be kept in a private cloud or even on-premises, while other tier 3 data files or backup archives are stored in a public cloud. A multicloud strategy doesn’t only offer enterprises the ability to store different types of information in different places, but full backups can be stores in clouds as well. This enables organizations to confidently know they have another location to store and recover a full backup in case of an emergency. Many say that an organization is only as strong as its disaster recovery strategy. Compliance regulations might mandate that certain types of data has to be stored on site or within a specific geographic region. 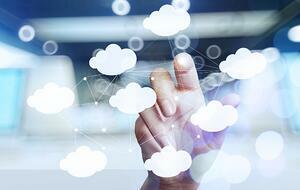 This can make a private cloud more beneficial. Archiving data that isn’t accessed often and having a strong strategy for it has significant cost implications. Archived data can be stored in one place to offset the costs of accessing and storing large amounts of actively used data. By not leveraging cloud solutions, achieving long term retention (LTR) of data can be extremely costly. Nearly all companies utilize cloud computing in some way, and most companies we speak with are utilizing a 1-many cloud strategy. Leverage our experience with complex Hybrid IT and multicloud environments! WEI's IT consulting services can help you identify opportunities for operational efficiency or cost savings. Talk to our cloud experts today.